Trial attorneys are a tradition in Phil Clark’s family. Going back five generations starting with Jonas J. Clark who was appointed by Abraham Lincoln as the United States Attorney for District of Kansas City in 1861. Phil Clark is also a descendant of William Clark – from Lewis and Clark. Phil Clark attended and excelled in law school at the University of Denver, with the sole goal of becoming a trial attorney. Before he was even licensed, he had performed over 35 trials as a supervised student attorney. He passed the Colorado bar exam in 1990 with a score so high that the second portion of the test was waived. Later, Phil was appointed second-in-command of the Weld County District Attorney’’’s Office. He was then elected as a member of the Colorado District Attorney’s Council State Governing Board serving with each elected District Attorney in Colorado, members of the Governor’s Office, members of the Attorney General’s Office, members of the United States Attorney’s Office and other high-ranking government officials. A great criminal defense attorney helps protect you from missteps and puts together the best defense possible – saving you from fines, stains on your permanent record, and even time in jail or prison. Boulder Criminal Defense Lawyer Phil Clark has been practicing criminal law for over 25 years – as a prosecutor for the Denver District Attorney’s Office, and then as a criminal defense attorney in Boulder, Colorado. He knows how the D.A.’s office works and can help you find ways to minimize your sentence or even have your case dismissed before it reaches trial. Learn how Phil Clark’s distinct expertise sets him apart. If you received a charge for driving under the influence (DUI), get a Boulder DUI attorney to defend your case immediately. A DUI charge can negatively impact many aspects of your life – your license to drive, your family, friends, job, and finances. Contact Boulder DUI attorney Phil Clark to start your consultation. Phil Clark is an experienced felony defense attorney who is regarded as being knowledgeable, experienced, and diligent. He has been involved in several well-known felony cases, so he understands exactly what is needed in order to properly defend his clients. If you received a drug charge, there are three important traits that your Boulder criminal defense attorney should have when defending you against drug charges. Learn more now. Misdemeanor defense clients benefit from Phil Clark’s experience as a senior attorney with the District Attorney’s Office and his strong understanding of and deep insight into the mentality of prosecutors and judges when handling misdemeanor defense. Students in Boulder – you need to be aware of your rights and what can be done in your defense. 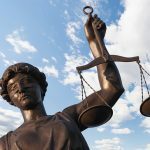 Depending on your particular institution, and the specific offense charged, a criminal conviction can lead to some serious problems – academic discipline, loss of a scholarship, removal from a dormitory or student housing, or even expulsion. At The Clark Law Firm, we work to preserve your life and family. Through hearing your case, we can form a strong position and take steps together towards an improved life. As a Boulder criminal defense lawyer, Phil Clark has the knowledge and skills needed to properly deal with complex sexual assault and imperative Assault & Battery defense cases.